I'm in a bit of a bind. 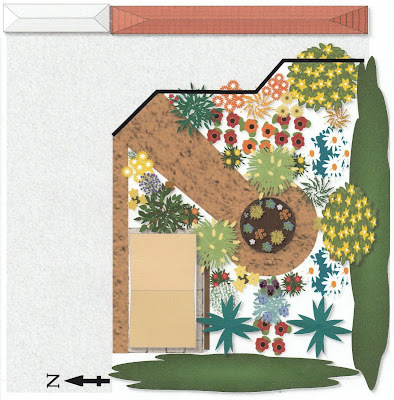 I want to follow permaculture principals and take time before making major decisions about my new garden. But I am also in an odd situation where I have exactly the same layout of our previous garden (not the one-year rental but the one before that). In fact, it's not just an East-West layout, we are sharing the same side party wall and therefore having the sun and shadows fall the same way as the last garden. These facts are also coming up against me needing to reduce the amount of plants I have in pots, for as the recent warm weather has shown, it's been a lot of work maintaining them. And I just don't have the health to keep managing this sustainably from an ME perspective. So I've decided to take the plunge and go with the ideas I have for the front garden. To be honest, they aren't new ideas. I had them for the last garden, I just never got a chance to implement them. 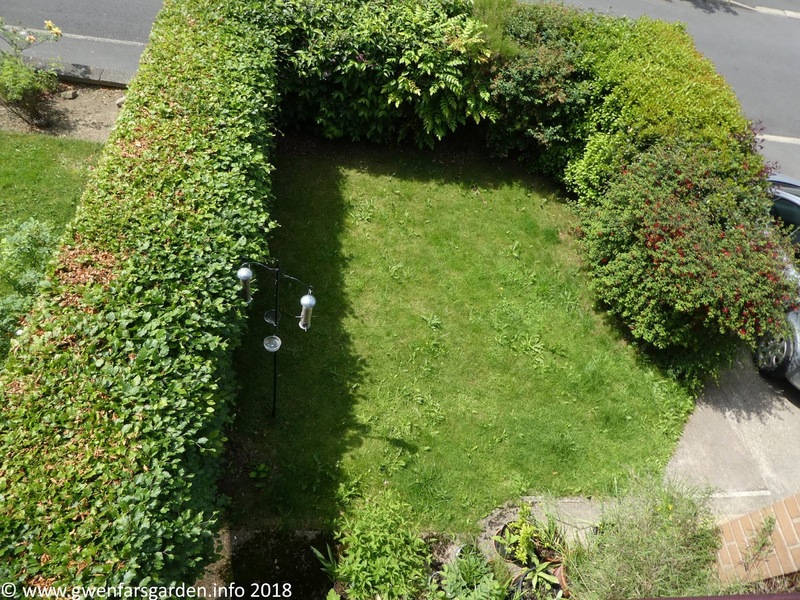 And that idea, is to have a 'hot garden'. By hot garden, I mean, hot colours. Reds, oranges, yellows. The hot colours will tempered by a few cooler blues and purples as well as the grasses. 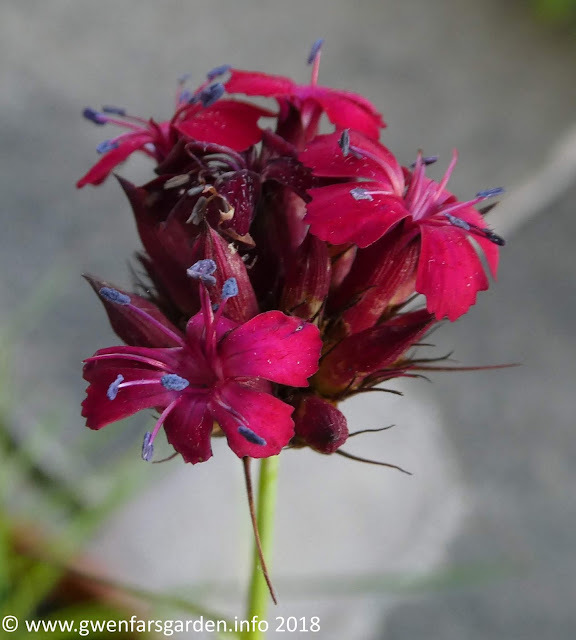 I'm choosing hardy perennials, really hardy ones, that I plan to leave to fend for themselves once they have been watered in. You can see the plan at the top of this post. The driveway and current paths are grey. I'm getting the hedge alongside the driveway removed. This is to give us a bit more space, particularly when the car is parked and I need to get past it with my mobility scooter. But I'm also adding a bin store (the yellow rectangle bottom left) for, well, the bins. I've chosen one that's made of wood, which should be reasonably attractive, as these things go. Eventually plants should help it blend in better. 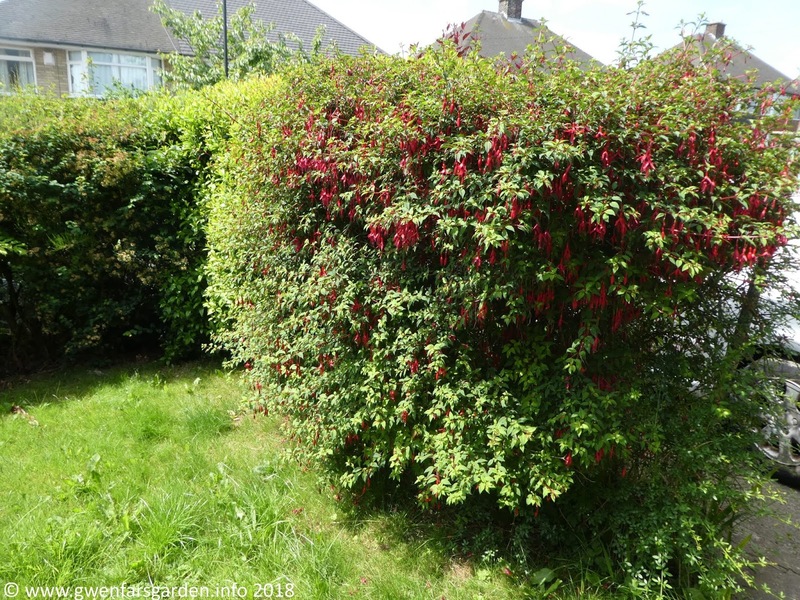 The hedge along the footpath will be reduced by half, to let in more light, and also because it's currently out of control. And the beech hedge I share with the neighbour will be cut by about 50cms (I've already oked it with her). I don't want to reduce it too much. I love the beech hedge but would like it to be just a little less high. All the grass is going and I'm putting in a path, that is wide enough near the driveway to make it easy for me to turn my scooter around, and then leads to a central circle bed, which is where I'll be planting my Quince tree. Yes, I'm trying a Quince again. 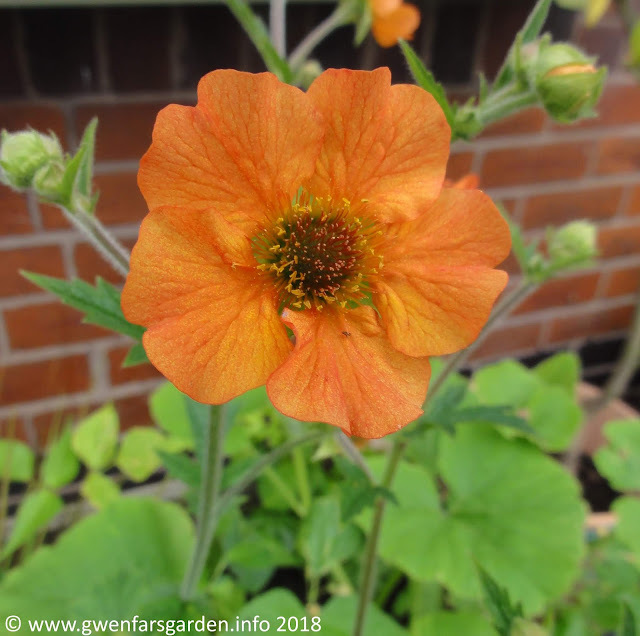 I'm thinking of trying the variety 'meech's prolific', as it should produce fruit a little sooner than other varieties, and is, well, meant to be prolific! My plant list includes Heleniums such as Dunkle Pract and Waltraut, Crocosmias including Irish Dawn and Coleton Fishacre and Geums, Totally Tangerine and Mrs J. Bradshaw. I'm going to finally grow a plant I've admired for several years, Kirengeshoma palmata, and the shadier side, next to the beech hedge. Grasses will include Stipa gigantea and Pennisetum alopecuroides 'Hameln'. And a cutting of a cutting of a cutting (times a couple more), of the first plant I ever brought in the UK, 20 years ago. It's something a little 'boring' in that it's so common, but it captured my heart 20 years ago, and it captures the hearts of bees on a daily basis. 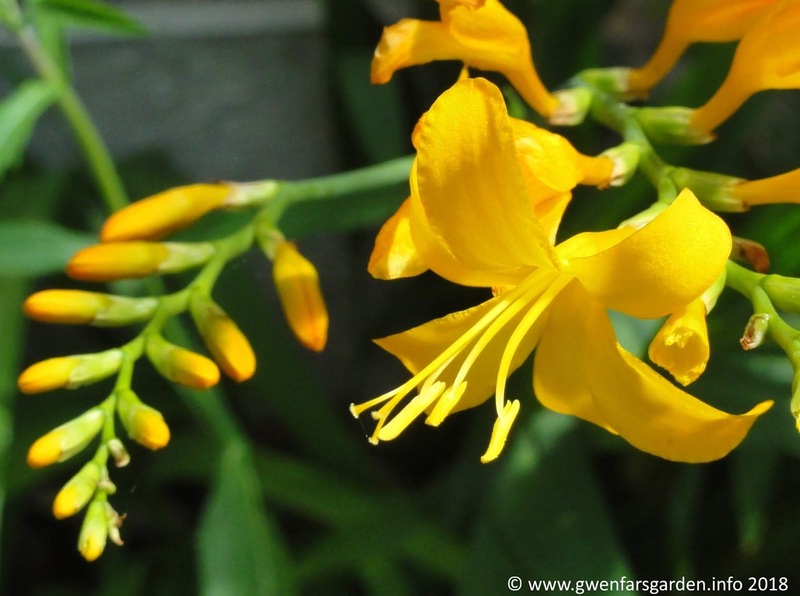 The plant is Hypericum 'hidcote' - yes good old St John's Wort. 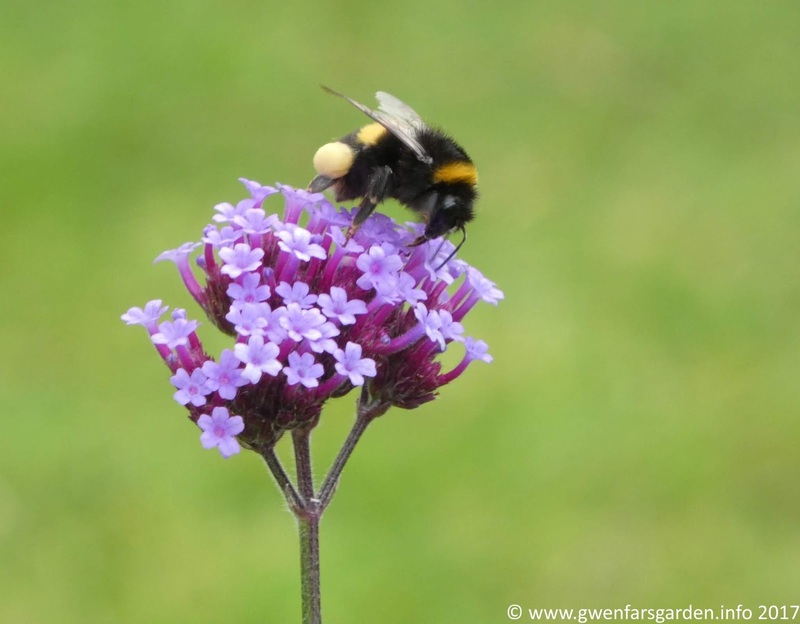 I'll also add some purples for contrast, such as Verbena bonariensis. These will all be under planted with bulbs, from Galanthus and Crocus to Tulips and Alliums. My aim, is to have a explosion of colour all year around. Ok, I'm still working on the winter bit. If you can recommend any bulbs that flower in December, let me know. But you get the idea. Grass will be removed and borders and paths added. Plus a quince tree. This also sounds like a lot of work, right? Yep, it is. And to actually do the work, I'm getting in landscapers to do the landscaping, then Andrea to do the planting. I'll be using my limited energy wisely, making tea. We have a perennial hot border in our back garden. Our quince tree is Meeches Prolfic and I can recommend it. That's so good to know about the quince, thanks Sue. Sounds really well planned! Some suggestions for late autumn /winter/spring planting: Nerines, colchicums, eranthis (winter aconite) for early winter, maybe also Japanese Anemones if frosts hold off; epimedium, snowdrops and Hellebores for mid to late winter; after that the mini daffs, iris reticulata, wallflowers, etc come out in my garden. Also don't forget winter honeysuckle, edgeworthia and daphnes for winter scent.